This 4-month-old boy was seen by the ENT team of the Sarawak General Hospital, Kuching during a camp trip to a border village near Indonesia. 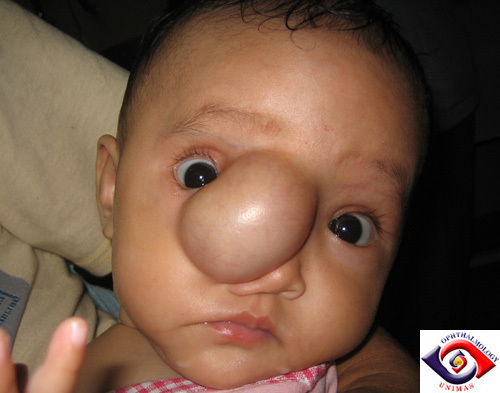 The swelling has been present since birth and has a flatulent feel. The swelling showed transillumination. Examination of the eye appears normal except for a slight restriction of right adduction. of the right medial canthus and right nostril. Figure 2. 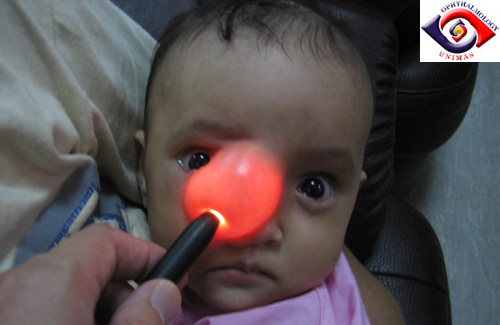 Transillumination of the swelling shown with a torchlight. 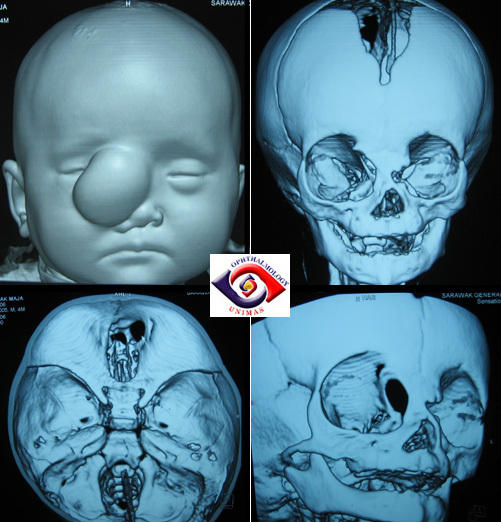 The CT scan and bony reconstruction are as shown below. cranial fossa at the junction of the frontal, ethmoid, lacrimal, maxillary and nasal bone. region. There is a smal midline shift. b. 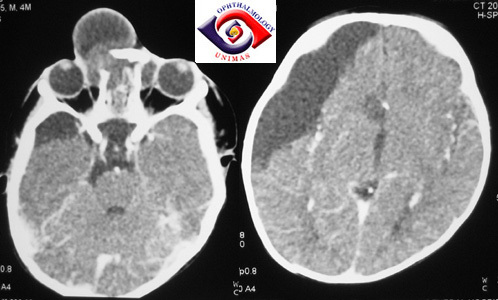 How can the medial canthus be reconstructed after the neurosurgeon and ENT surgeons have replaced the brain and close the defects?